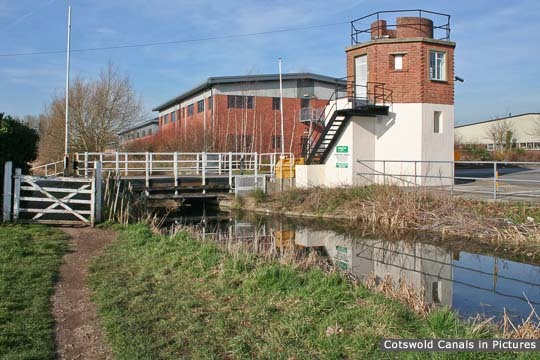 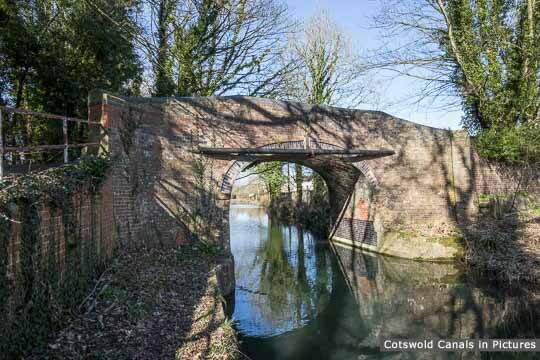 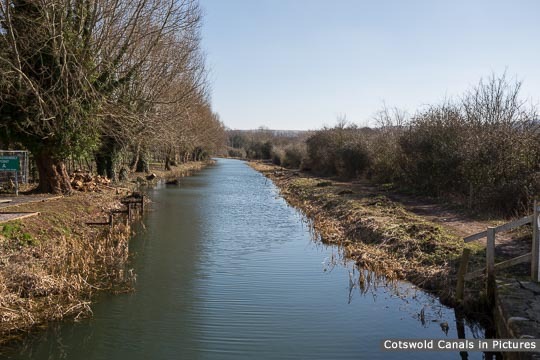 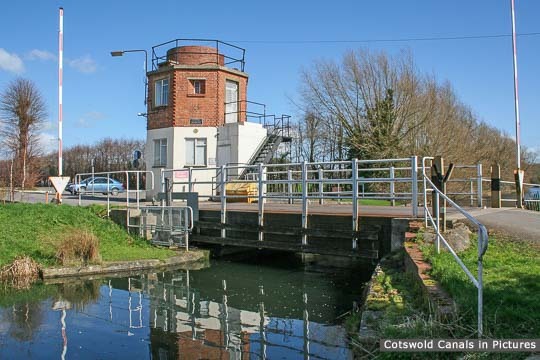 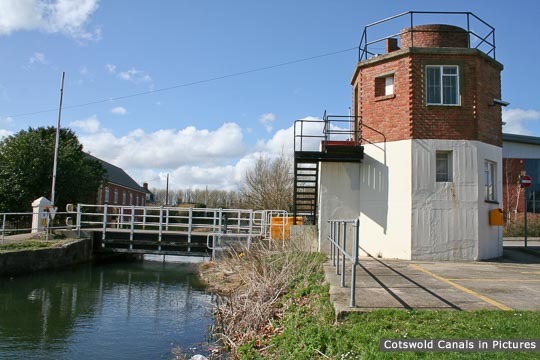 Reinstated by Cotswold Canals Trust. This was the first road lift-bridge in the world to be made entirely of advanced composite material when it was opened in 1994. 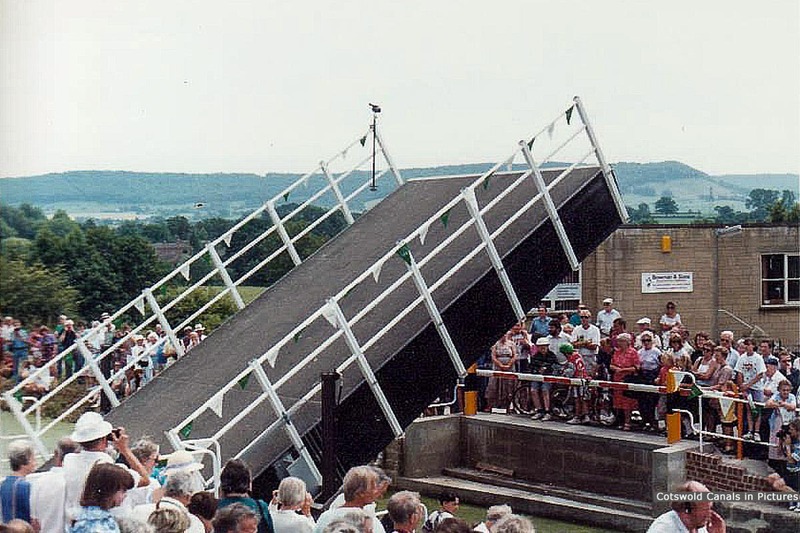 It is hydraulically operated, with the pivot point at the left-hand end in the top photo. 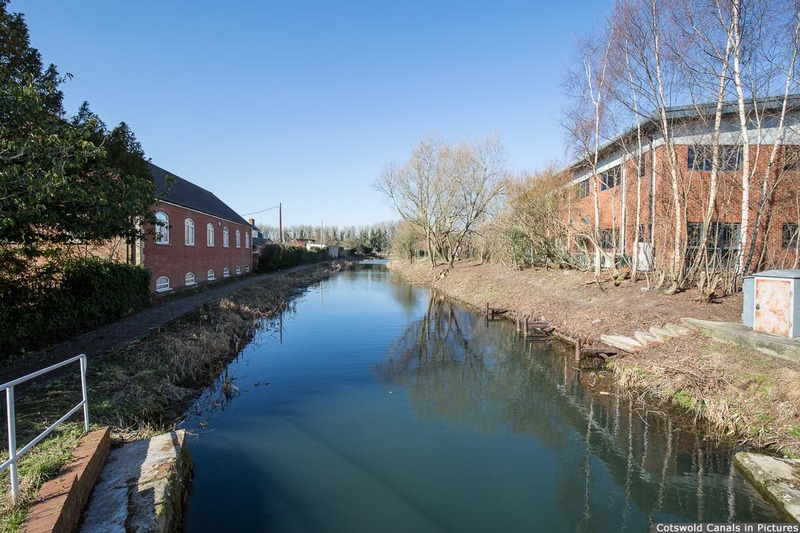 The bridge provides access to the Bond's Mill Business Estate and is 4.3m wide by 8.2m long with a design weight of 4.5 tonnes. 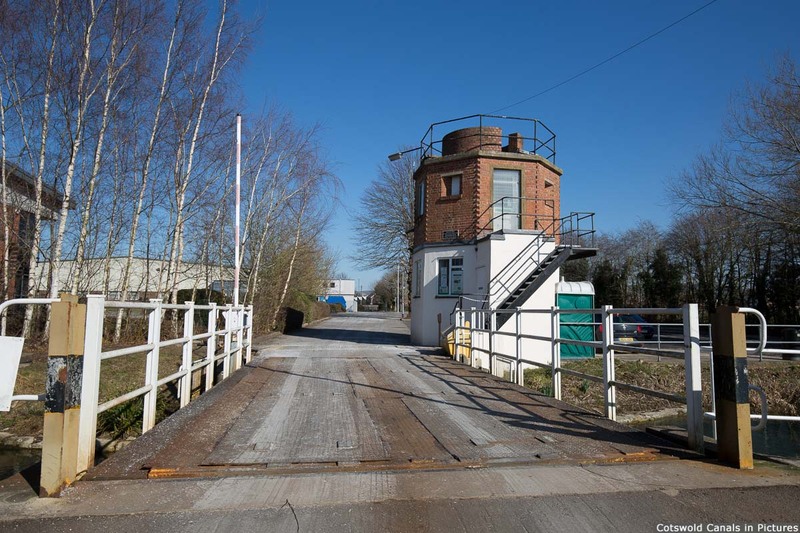 The bridge is suitable for single lane traffic and articulated vehicles up to 44 tonnes in weight. Since its opening there have been some issues with the bridge deck and capability of the hydraulic lifting system. 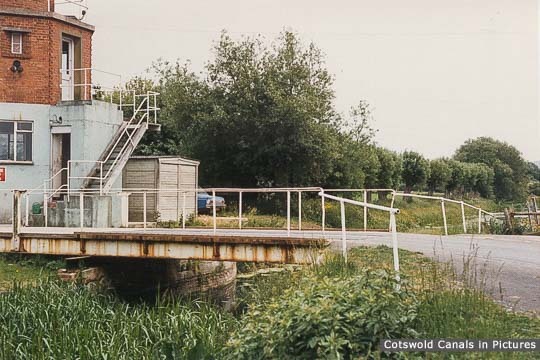 It is likely that this bridge will be replaced during the Phase 1b resoration programme with one similar to that at Lodgemore in Stroud.